A Non-Profit Organisation, The Link Literacy Project supports the development of literacy and numeracy in children whose second language is English, and who attend low-income schools in Johannesburg. 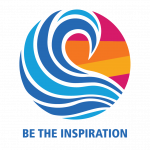 It was founded in 2010 by Margi Bashall, a teacher committed to equal educational opportunities. The Link Literacy Project is managed and staffed by volunteers, and is recognised by the Gauteng educational authorities. Link also have permission to operate during school hours, working with children identified through recognised assessments as needing help. The Rotary Club of Johannesburg New Dawn has sponsored the establishment of a maths literacy classroom in Orange Grove and a couple of our Rotarians are among the volunteers who work with the children. The Christ Church Christian Care Centre, known as the 5Cees, is a hostel located in a former hotel in Berea, Johannesburg, and cares for children from birth to the age of 18. The children are referred there by Social Services and are often abandoned babies or street children. The hostel provides then with a caring environment. Those who are old enough attend local schools. Over the years, the Rotary Club of Johannesburg New Dawn has sponsored one of their soccer teams, stocked their library with books, set up a computer center and channeled donations of food their way. Most recently the club sponsored the children’s school uniforms, donated them Easter eggs, and gave them enough paint to cover the exterior of the building. 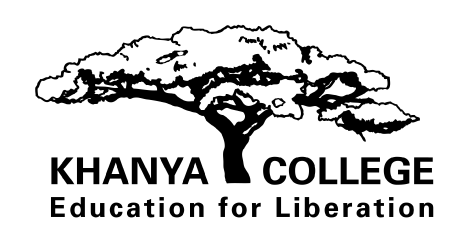 Khanya College describes itself as an independent, non-governmental organisation based in Johannesburg. It was established in 1986, and its primary aim is to provide educational and training workshops, publications and research, to organisations and individuals in working class and poor communities. Khanya organises the Jozi Book Fair, which aims to promote a culture of reading and writing through interactive partnerships between readers, writers, communities, and especially small publishers. The Fair provides an opportunity for creative engagement, and the exchange of ideas in English and indigenous languages through a range of activities such as seminars, readings, book launches, training and exchange of skills, debates, conversations, film screenings, and children’s programmes. Hotel Hope Ministries is a registered South African non-profit organisation which aims to ensure orphaned and abandoned children are raised in safe, happy and healthy homes and become responsible and positive adults. It does this by helping babies in need, creating and supporting small, family -style foster homes for orphaned and abandoned babies; providing young mothers facing unplanned pregnancies with counseling, guidance and practical support; and helping mothers and fathers to help themselves by providing jobs and skill development opportunities through fundraising and trading projects. Its funding model aims to allow the generation of funds, via its charity shops and carpentry and sewing workshops, to cover all its administration costs. The Rotary Club of Johannesburg New Dawn has helped Hotel Hope by providing toiletries and other items on its wish list, the club has donated Easter eggs to the children, and has sponsored the purchase of a flatbed truck to collect items donated to its charity shop. Our club has long been associated with this small village in rural Bushbuckridge, Mpumalanga, through Rtn Prof Lucille Blumberg, who is a Deputy Director of the National Institute for Communicable Diseases, and who champions our wheelchair project. The club provides the needy in the area with wheelchairs, walking frames, elbow crouches, and kits out the Mdluli High School’s library with books from the Humanitarian Distribution Centre of Southern Africa in Bedfordview. The Rotary Club of Johannesburg New Dawn always supports this annual multi-club project in Rotary District 9400. Year-on-year more clubs join the project to make a difference in someone’s life. Blankets collected by the club, are distributed to some of the club’s own projects, and to worthy causes like the SABC outreach in Joubert Park on Mandela Day. The Rotary Club of Johannesburg New Dawn was part of this successful project in which District 9400 project teamed up with Mahindra South Africa to donate a solar power and battery-operated lamp with a pencil bag and a novel to each of 5000 matric students in disadvantaged communities to ensure they have enough light to study by after dark. One of our members, Rtn Lucille Blumberg handed out 100 of the solar lights, stationery, and books to underprivileged matric pupils at the Mdluli High School in Hluvukani, Bushbuckridge. Woodside Sanctuary is a Non-Profit Organisation which gives profoundly intellectually disabled children and adults – and their families – not just care and stimulation, but a “home from home” environment, love, and hope. It is run by a committee of professionals and business people. It provides nursing, physiotherapy, occupational therapy, remedial therapy, medical and other therapeutic services to residents, many of whom no longer have parents or have families that cannot afford to pay its fees. It also offers training workshops and follow-up support to others operating in disadvantaged areas. The Rotary Club of Johannesburg New Dawn has had a long association with Woodside Sanctuary. Rtn Paul Kasango is its chairman. The club donates toiletries, clothing, and linen on an ongoing basis, and tries to provide some of the items on the Woodside Sanctuary’s wishlist. It made sure there were enough Easter eggs to go around this year.